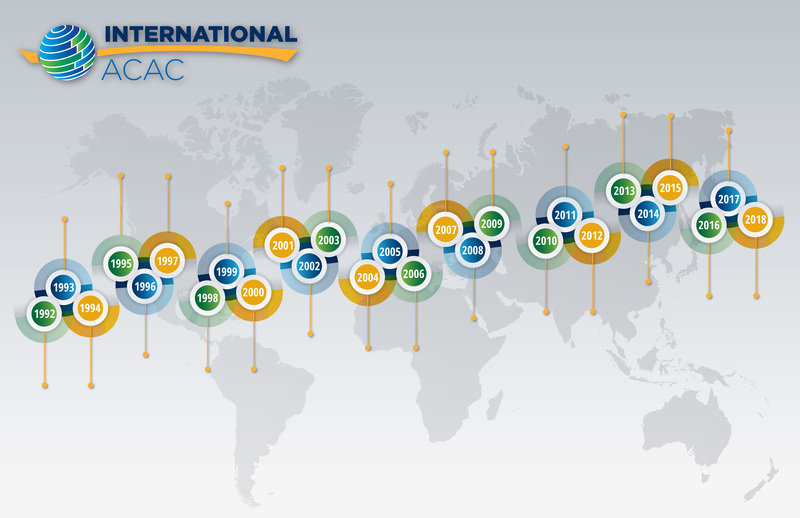 International ACAC and its namesake, OACAC, is celebrating 25 years! Check out the Timeline of highlights of OACAC and International ACAC. Read about the 2/5 Grants awarded to members to hold local celebrations. Over the past 25 years, we have experienced exciting growth in our membership, have hosted unparalleled annual summer conferences, and provided networking and professional development resources for thousands of educators in our field. 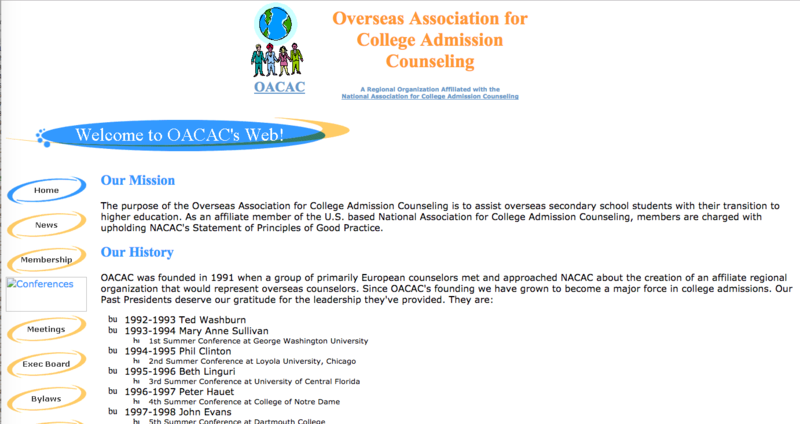 The Overseas Association for College Admission Counseling was founded in 1992 when a group consisting of primarily European counselors approached NACAC about the creation of an affiliate regional organization that would represent their needs. Over the years OACAC has continued to grow, becoming incorporated as a not-for-profit organization in 2001. In 2016, the organization rebranded itself as the International Association for College Admission Counseling. To see our full history, please visit the History of International ACAC page. Click on the timeline to learn more! Twenty International ACAC members from around the globe were awarded grants to celebrate locally our organization's 25th birthday during the month of February. Below are recaps of the events.